Forget the Seattle Mariners. How about the Seattle Marlins? 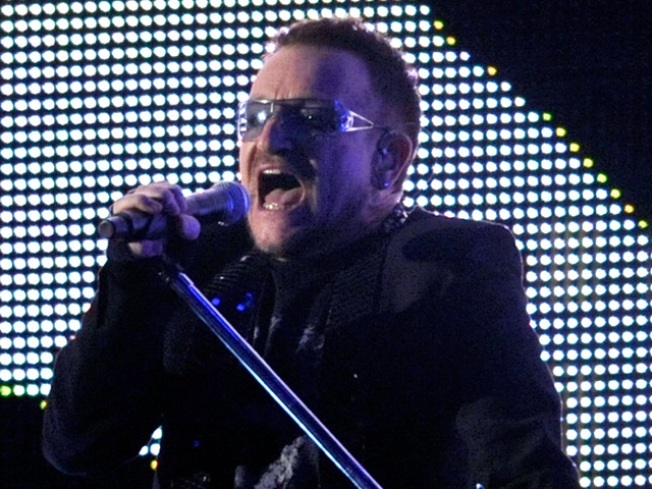 The Florida Marlins, as they are called now, will be moving several home games from Sun Life Stadium to Seattle to accommodate Bono and U2. Yes, a music concert will be replacing baseball games. Soak that in for a moment. A Major League baseball team is moving home games for a bunch of rockers, and not only moving them out of the state. Moving them to the furthest possible destination imaginable. The June 24-26 home series between the Marlins and the Mariners was supposed to be South Florida's chance to get a close up view of Ichiro Suzuki. U2 booked the stadium for June 29. But like any iconic rock star, Bono and company require days of time in advance to set up shop. So the choice between struggling baseball team or Irish megastars in leather pants was a no brainer for Sun Life officials. U2 fills the seats. Marlins fans can barely fill a plane. Now, fans have to hop a cross-country flight. This should be the last scheduling conflict in Marlins history, because the team is planning to move into their own new stadium in Little Havana on the old site of the Orange Bowl in 2012. Last year, the Marlins had "home" games in Puerto Rico and ran into a deluge for their troubles. Maybe that was good preparation for playing in the city that embraces rainfall like Miami embraces sunshine. By the way, roundtrip tickets to Seattle from Miami are going for around $500. For diehard fans, Google maps says the trip will only take you two days and six hours by car.